The story begins with the protagonist, a business man in downtown Portland Oregon, rescuing a runaway black ten-year-old from the streets and alleys of the city. The story involves the hero taking the boy under his wings. The hero is divorced and has a ten-year-old son of his own. The son lives with the ex-wife. He visits DHS to report his find. He eventually dates and falls in love with the lady from DHS. The mother of the boy, 35 years of age is just at this same period of time being released from women’s prison south of Portland. She is intent on re-establishing custody of her son from DHS. Her incarceration was on a drug dealing bust. She is out on three years parole. Her past involvement with the local drug lord brings conflict which eventually touches the main character as well as the law enforcement agencies both local and regional. 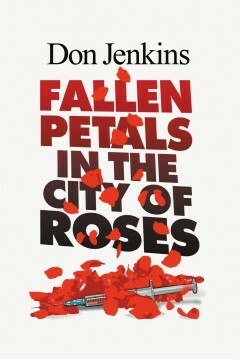 Don Jenkins comes late to the novel writing community. At age 76 he has just finished novel number 4. Don lives in Eugene, Oregon with his wife Sharon. They have been married for 58 years. They have three grown sons and two grandchildren. Don is retired from many years in the billboard business. Life is good and writing is a fine pastime.